AT-ACRYLMOD is cold applied derived from acrylic modified bituminous membrane, specially designed from a blend of high quality acrylic of aliphatic resin, reinforced with special water repelling fillers, minerals stabilizers and gelling agent. 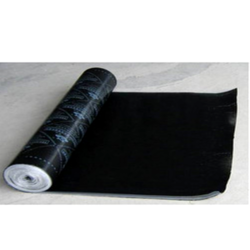 We introduce ourselves as leading organizations in offering Bituminous Waterproof Membrane. - SET BIT: Oxidised Bitumen for Waterproofing / Other Application. - SET BIT V: Cold Applied Bituminous Compound with Mineral Fillers For Vertical Applications.